For those who are unfamiliar with Dina Silver’s One Pink Line…I highly recommend you read it as well. It is a superbly written book. Finding Bliss is a spin-off of One Pink Line, but you do NOT need to read one in order to read the other. However, I think you’d be doing yourself a great disservice by not reading both. They are each beautiful stories in their own right. First thoughts were…this is good, this is really good. But, then my heart broke and then it healed again, then I was angry, then I was sad and then I was happy again. This is definitely an emotionally charged book. What I really like about Dina Silver’s writing is that it is extremely realistic. Her stories aren’t sugar coated, people struggle, suffer and fight, they’re faced with hard decisions and sometimes things don’t work out. She focuses on real issues that everyone can relate to and dives in with all her might. There is a rawness to her writing that is so real. The characters are lovable, revered, moving and sometimes sickening. This particular book explores alcoholism and mental illness as well as a whole slew of other topics I’d rather not divulge to avoid spoiling it for you! I will say, this book is incredible! The protagonist, Chloe takes on a lot of responsibilities at an early age, and that specific characteristic stays with her throughout the book. She remains responsible, dependable but utterly naive at times. Her character develops well throughout the book and she, in my opinion, becomes an amazing and inspirational woman. The hurdles she faces and overcomes make you appreciate all you have and all you strive to be in a world filled with many unforeseeable obstacles. Not many people would endure and persevere the way Chloe did. I have a lot of thoughts on the other characters namely Tyler and Cam but I feel this may give away too much and this book is worth the read. If you are looking for a deeply poignant story that shows you it isn’t impossible to stand up again after repeatedly falling, a story that shows not every happy ending is in fact YOUR happy ending, and that no matter what obstacles you face there is always a way to overcome them, then this book is definitely for you. 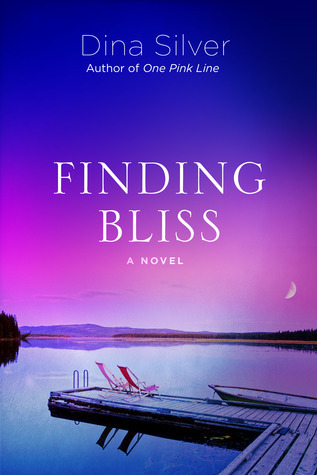 Sign into Goodreads to see if any of your friends have read Finding Bliss. 15.0% "so far, so good..."
67.0% "I love how Dina Silver incorporated the characters from One Pink Line into this book!" My #1 reason for loving this book...it was REAL! Another amazing book by Dina Silver definitely worth reading...review coming soon!